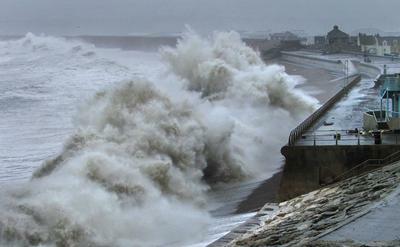 Scientists at the University of Southampton have found that the majority of instances of coastal flooding around the United Kingdom in the last 100 years have been due to moderate storm events combined with high spring tides, rather than extreme storms. Researchers from the University and the National Oceanography Centre, Southampton have undertaken one of the most detailed assessments of extreme sea level and coastal flooding ever carried out for the UK. Their findings are published in Nature Research journal Scientific Data. The team examined exceptionally high sea levels using tide gauge records dating from 1915 to 2014. In particular, they set out to assess the footprint of flooding along the UK coast. This helped them to determine what types of storms led to simultaneous flooding along extended stretches of coastline during the same storm and to examine the temporal ‘clustering’ of the flooding events, i.e. events occurring one after another in close succession. 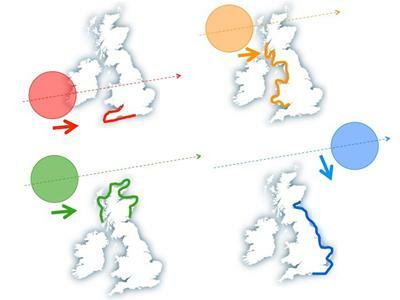 The researchers also identified four main storm track pathways approaching the UK (mainly from the westerly and northerly directions) and four broad corresponding footprints of extreme sea level events (four sections, which together, make up most of Britain’s mainland coastline). The research was conducted in collaboration with the Flood Management Group at the independent civil engineering and environmental hydraulics organisation HR Wallingford in Oxfordshire, UK. The team has also developed a new database of coastal flooding for the UK called SurgeWatch which contains records, including photographs, of coastal flooding events over the last 100 years.